Product placement and branded entertainment agencies, corporations, and studio/network executives. 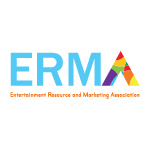 ERMA membership costs $360 per year and allows access to all membership benefits. There are three membership categories: Agency; Corporation; and Studio/Network/ Production Company. General Membership Meetings ERMA holds approximately five meetings during the year: one general business meeting, one social mixer, two educational meetings, and one holiday party. The Board of Directors serves a two-year term and is voted into office by the general membership. The Board of Directors includes the President, Vice President, Treasurer, Secretary, Studio/Network Affiliate, and Corporate Affiliate. Committees ERMA maintains Membership, Events, PR, Ethicsand Education Committees, as well as ad hoc committees which periodically serve at the discretion of the Board of Directors and/or General Membership. The ERMA bylaws contain the foundation by which the organization conducts business. The ERMA Code of Ethics provides the platform by which the members build and promote the highest level of conduct and present a professional image. Producers, product placement coordinators, property masters, set decorators, costumers, actors, studio production resource departments, network executives, print and electronic media outlets, companies seeking representation, and others. Film, television, broadcast/cable, game shows, DVD/home video, videogames, sponsorships, licensing, cellular content and more! Where can I find brands to use in my production? The ERMA website has an interactive search engine where you can look up products by brand, agency, or product category.